[PDF] Need for Speed (NFS) Rivals is a 2013 racing video game set in an open world environment. The game was released for Microsoft Windows, PlayStation 3 and Xbox 360 on 19 November 2013. Most of time, NFS Rivals can run without any problem on an up-to-date computer. But sometimes, you may see a popped up DirectX error on your screen when you start NFS Rivals. Unless you can get DirectX error fixed, you won’t enjoy a happy time by playing NFS Rivals. Some DirectX errors can be fixed by updating the RAM or graphics drive. But if it was a fatal DirectX error, you have to find another way to solve the problem. In this article, you will learn how to fix DirectX error while playing NFS Rivals easily and completely. 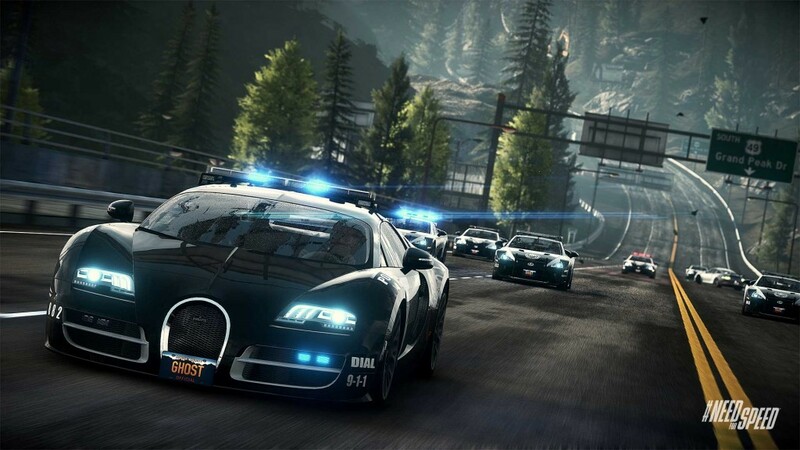 You will get a final solution to any DirectX error while playing NFS Rivals. When you are facing a DirectX error message while playing NFS Rivals, please don’t panic. The first thing you need to do is to read the error message carefully. If it shows a graphics problem, please reinstall the graphics drive to your computer. Maybe DirectX error will get fixed by that. If DirectX error still exists, please read the following article to find a solution. Now please install Reinstall DirectX EZ to your computer. You can download the latest version at its official downloading page. Open it and click DXdiag or DXdiag X64 (if 64-bit system) to diagnose DirectX program of your system. If no error was found, please go to Repair tab and select Compatible Mode. Now please insert the original system setup disk to your CD-ROM. If you don’t have that or you have lost your system setup disk, please contact us and we will make a package for you. Press Next to choose the [sources] folder in your system setup disk. 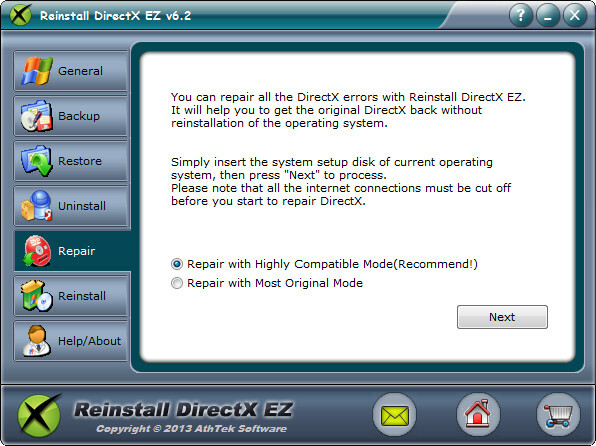 Reinstall DirectX EZ will match your current DirectX program with the original one in your system setup disk. If there were DirectX errors, Reinstall DirectX EZ will fix it immediately. During DirectX repair, you should cut off the internet connecting. When DirectX repair is over, you can run NFS Rivals for a try. Most DirectX error will get fixed by then. If DirectX error still exists, you should reinstall the latest version DirectX to your system. Open Reinstall DirectX EZ and click to access General tab. Click on link ‘Get New Updates’ to open the official DirectX downloading page of Microsoft and download the latest version to your computer. After you have downloaded the file, please cut off the internet connection and restart Reinstall DirectX EZ. Click to access Reinstall tab of Reinstall DirectX EZ and then press Next to find the DXSETUP.exe you have just downloaded. Follow the instruction to install the latest version of DirectX to your system, and then 100% DirectX errors will be solved! I highly recommend you to make a backup once DirectX error fixed. If DirectX error reappeared on your computer, you could effortlessly solve DirectX problems by DirectX restore. No system original setup disk is required anymore. 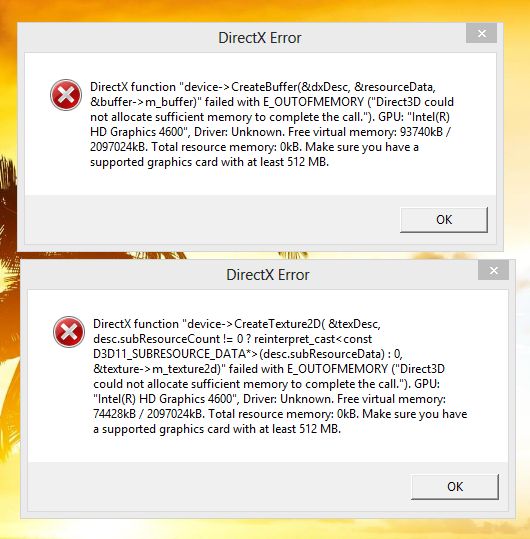 This is why we say that Reinstall DirectX EZ is the final solution to any DirectX error while playing NFS Rivals.